What's the inspiration behind Cisco Brothers comfort and relaxed way of living? Nature and a curiosity to figure out what to do with materials and objects that others have discarded. We love the fact that they use green materials and building methods, all of the furniture being as healthy for you as it is for the planet. Each unique item is built with pride by local craftspeople at their headquarters in the heart of Los Angeles and each piece brings timeless style and beauty to any home. Established in 1969, Lee continues to run as a family owned and operated company, the tight-knit team being with it 100% of the way through manufacturing. For example, the Driftwood finish requires 9 steps to complete, and you can be assured that the person behind making that finish perfect is being held accountable for each and every application. And from an environmental perspective, 98% of their product components are supplied domestically, which means local employment and reduced transportation costs and emissions. Proudly manufactured in Conover, NC, every product you receive from Lee is handcrafted by experts in their field who take pride in their workmanship. The label of each piece is signed by the talented craftsman that personally checked your piece prior to it leaving the warehouse, a unique personal touch! Exclusively at Gardenology, Klaene Gray began when our creative director Lili had a vision in her head, but couldn’t find quite exactly what she was looking for: something offering simple but necessary comforts. Inspired by life along the coast and the diverse natural landscape of California, she started to design items that satisfy a longing to escape, transforming everyday routines into sensorial rituals. 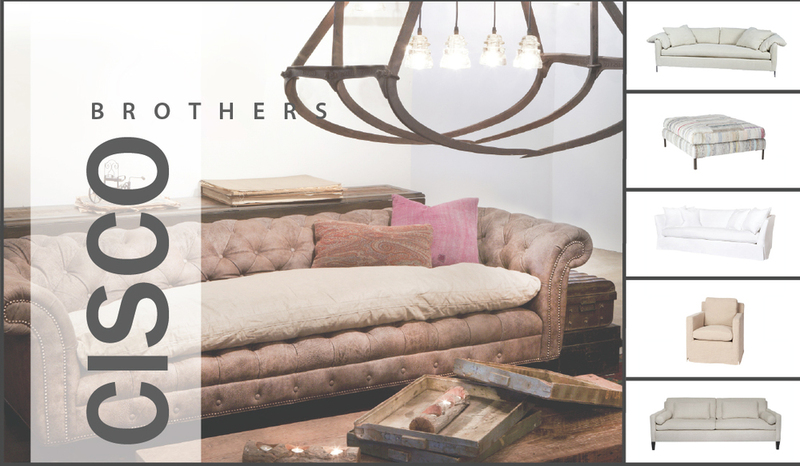 Each piece is designed to simplistically and stylishly integrate into any design aesthetic and like Cisco Brothers and Lee, is proudly crafted in the USA. Our furniture sale wraps up this month, so be sure to stop in and experience these collections in person. The details, craftsmanship and essence of each collection are sure to inspire you and perhaps your home will get a new touch!